AC #35: My favorite geology word is… Disthen! @GeoEvelyn decided to up the ante for this month’s Accretionary Wedge and asked for our favorite geology word. Not an easy request when there are so many cool geology words out there both within my field (boudinage, mylonite, allocthonous, subduction) and just in general (coquina, nuée ardente, lacustrine, jökulhlaup). While I could choose one of the general words that no one has picked yet (seriously? isn’t someone going to choose nuée ardente? ), I wanted to choose a word that influenced where I am today. So, my choice is Disthen. If you ask my undergraduate advisor whether I chose the easy or difficult path in college, I don’t think she would have to even think for more than a moment or two before choosing the latter. Case in point: I decided to not only double major, but in two very disparate subjects and then insisted on spending a year abroad in a non-English speaking country. After wrangling with the German department by me, both of my advisors, and both of my department chairs, I was given permission to take 1 geology class and 2 music classes per semester while abroad instead of the normal full load of German literature and culture classes (my 4th class had to be from this category both semesters). My first semester, I was “smart” and took a class that wasn’t going to be offered during my time at Midd: intro to paleontology. It was a typical 20+ student lecture and lab class, where we took notes like crazy in lecture with very little class participation and then painstakingly drew fossil after fossil, labeling them in lab. 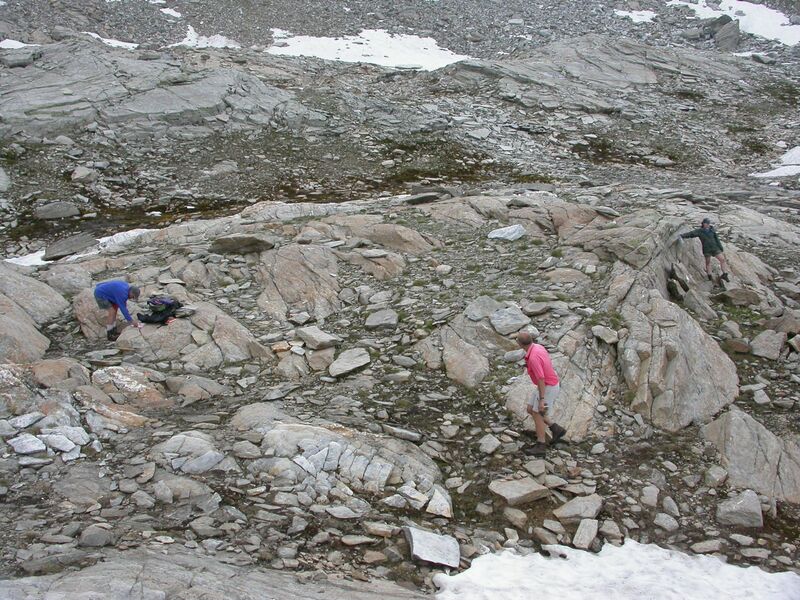 I know the professor knew my name (he once said to me in lab: “Frau Goeke, ihre Zeichungen sehen aus wie moderne Kunst!”–it wasn’t a compliment), but it just reinforced my decision after field camp of not studying soft rock or paleo further. The other thing I took away from the class? Germans have some weird words for sed/strat terms I’d already learned in English. 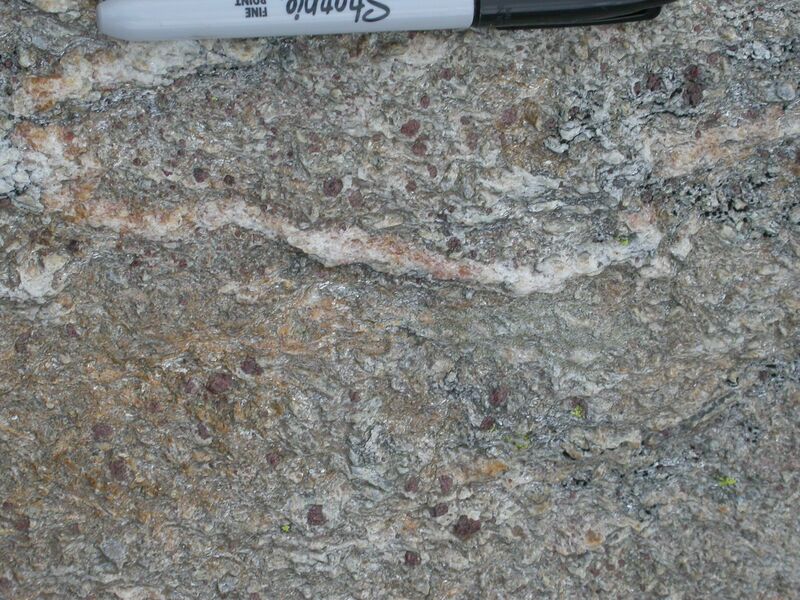 My second semester, I went out a bit on a limb and decided to take an upper level metamorphic petrology class. Having already decided against soft rock, I knew that my senior thesis was probably going to involve hard rock in some fashion. Because of a sabbatical my sophomore year, I didn’t know the igneous petrologist at Midd very well, but the metamorphic petrologist / structural geologist was my advisor and I had taken three classes with her already. The writing was fairly clear on the wall that I should know more about her fields and so I landed in a small class (<10) that was more like a graduate level seminar than the standard intro class I’d had in the fall. In this case, the instructor had just moved back to Europe after teaching in the states for a number of years and was much much more casual than your traditional German professor. The class was very interactive back and forth, with lecture & lab often interchangable. Now, for paleo our textbook had been in German and I ended up with a German – English geology dictionary to try to get through both lecture & readings. For most subjects, though, upper level textbooks in Germany are in English and for met pet, I ended up buying a copy of “The Big Blue Bible” and just had to reconcile the German terms in class with the English I was reading (this broke, btw, the language pledge I had signed with Midd not to speak / read / write any language besides German for the whole year). and then pointing to the various initials on the diagram, the professor continued the discussion. Everytime he talked about Sillimanit he pointed at the sil–easy to follow. Likewise, for Andalusit he pointed to and. 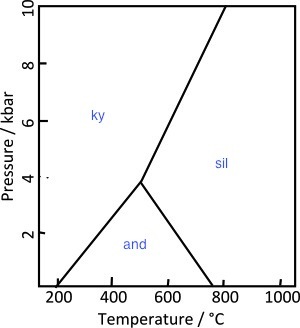 But for Disthen, he pointed at the ky on the diagram. Now, I was just plain confused for a bit. German is a very easy language spelling-wise because whatever you hear is how its spelled (none of these “i before e except after c and when you want to say a” rules), so how on earth could you spell something that sounded like Disthen with a ky? 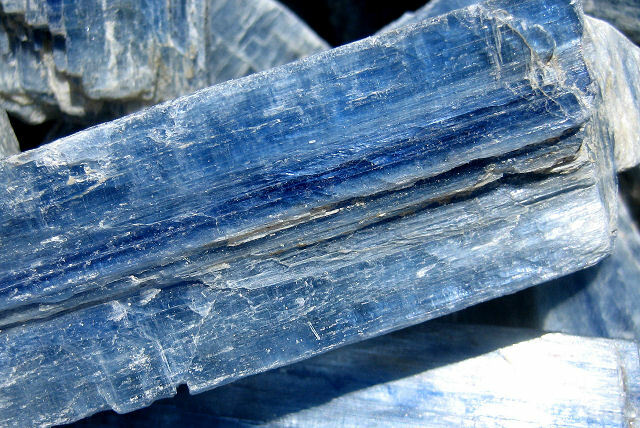 And then suddenly a lightbulb went off in my head--Sillimanite, Andalusite, and Kyanite were polymorphs (same formula, different structure) and Disthen was simply the German word for Kyanite! In my memory, its the first time I faced a puzzle in geology, suddenly remembered information from another course (mineralogy, in this case), and taken a leap forward in understanding of what was going on. Its actually something I hope my students learn: to take information from other courses and apply it in a new context in my classes, but usually I have to prompt them a bit. For me, though, this was one of the critical “ah-ha!” moments and one of the reasons why I felt so confident choosing to go forwards with met pet. If that pink shirt looks oddly familiar, its because of this post.